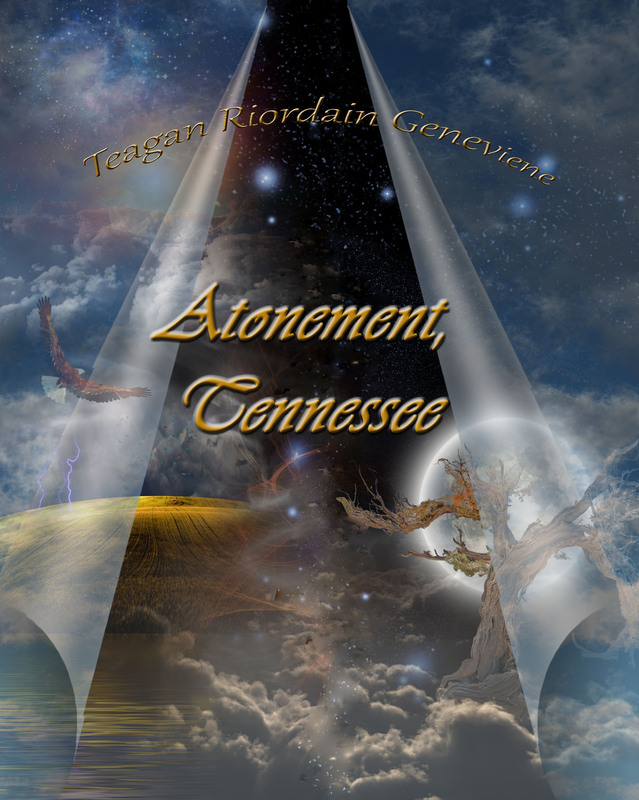 Posted on October 14, 2013 by Teagan R. Geneviene •	This entry was posted in Atonement, Tennessee, Teagan's Books and tagged Atonement, cover art, Cover Reveal, experiment, Fantasy, Indie Publishing, NaNoWriMo, National Novel Writing Month, Supernatural, Tennessee, Urban fantasy. Bookmark the permalink. I like the cover. Very mysterious. I think you should do well with the online publishing, people are always looking for new works. Thank you RC! I hope you’re right. It’s just that based on everything I’ve seen and read from indie writers talking about it, it still seems unlikely. But like they say… Art for the sake of art. Nice job, Teagan! I look forward to the day I can purchase a copy for my Kindle. Hi Lynn. I’m delighted that you stopped to comment. If all goes well between me and the online systems I will post it for Kindle this coming weekend. Excellent cover Teagan. We all have doubts when we self publish because recognition is very difficult and the time spent promoting isn’t relevant to the number of books sold. However, when you do come to publish, don’t forget to add #RT so that people will retweet to their own followers for you. I wish you lots of luck with what I’m sure will be a great book. David — thank you, thank you. I appreciate the #RT tip. I wasn’t familiar with that. Hugs to you and the grand-baby. Hurrah! It is a gorgeous, perfect cover and I am very pleased you are taking this step, Teagan.